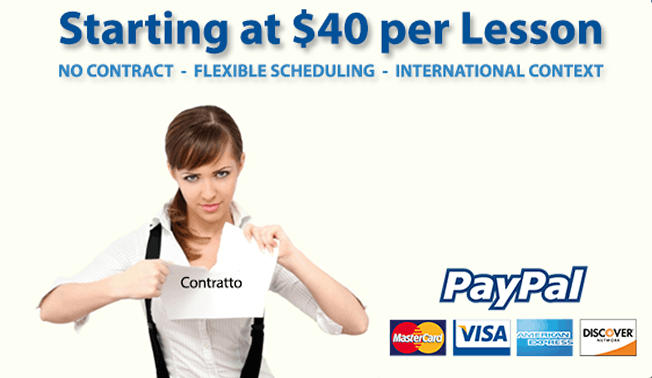 Flexible Scheduling, no contract required and smart prices! Mylena Vocal Coach teach using her innovative method, called "Inborn Voice". Take advantage of the opportunity to learn something that can improve your voice and change all your live: open your head, heart and ears to new experiences and become the person you want to be. As the Teaching Method is totally centered on the uniqueness of every human being, the first five lesson are meant to prepare an exploratory questionnaire so the Vocal Coach can tailor the futures lessons exactly on you. Each student will receive a personalized training program, conceived to reach his/her specific goals in a short period of time. Lesson price can be as low as 40$. Lesson lenght can be agreed and tailored to every student needs. Mylena can offer also Full Immersion Training, al day long. We accept everyone, including the LGBTQ community. We ask Student to be at least 14 Years Old to attend lesson, but we can always make exceptions! Feel free to ask! Voice Training for Kids is not recommended to anyone, as you can read in this website, under the technical parts. Our policies are easy to understand, you will be surprised! Mylena Vocal Coach does not ask you to sign a contract or to have a impossibile commitment to attend. Whenever is possibile, lessons are scheduled matching your availability, with flexible scheduling. Plus, you have also the opportunity to receive your lesson online whenever you need it, at no additional cost! Finally we offer also mock-up lessons, just in case you need them! We take our and your privacy seriously and will take all measures to protect your personal information. Any personal information received will be kept private and we ask the student to do the same. We do not sell or redistribute any information. The word of mouth is welcome. Each lesson must be fully paid in advance. We accepts Cash, Checks, Credit Card and PayPal. The frequency and the schedule of the lessons is very flexible. We require only a minimum of a lesson per week. Every lesson, once agreed, must be respected, expecially the start/end time of each lesson. Lesson schedule can be changed if the student has still mock-up lesson available, but the student must advise Mylena Vocal Coach at least 24 hours in advance, otherwise he/she shall lose the paid lesson. The opportunity to make up lessons is given only to ongoing students that give maximum schedule availability and that are respectful of the teacher. Make-up lessons will be proposed as an additional weekly lesson, they will not replace the minimum weekly lesson. The opportunity to make up lessons is given only to ongoing students that give maximum schedule availability and that are respectful of the teacher. Make-up lessons will be proposed as an additional weekly lesson, they will not replace the minimum weekly lesson. Missed lessons will not be reimbursed. The student must advise the Vocal Coach as soon as possible, but not after the lesson time. In cases of missed lesson with no notice, the situation of the student will be reevaluated. In case of tardiness the lesson cannot be extended past the regular end time. The missed part of the lesson will not be reimbursed. If you require more information, schedule now a free meeting in our studio!